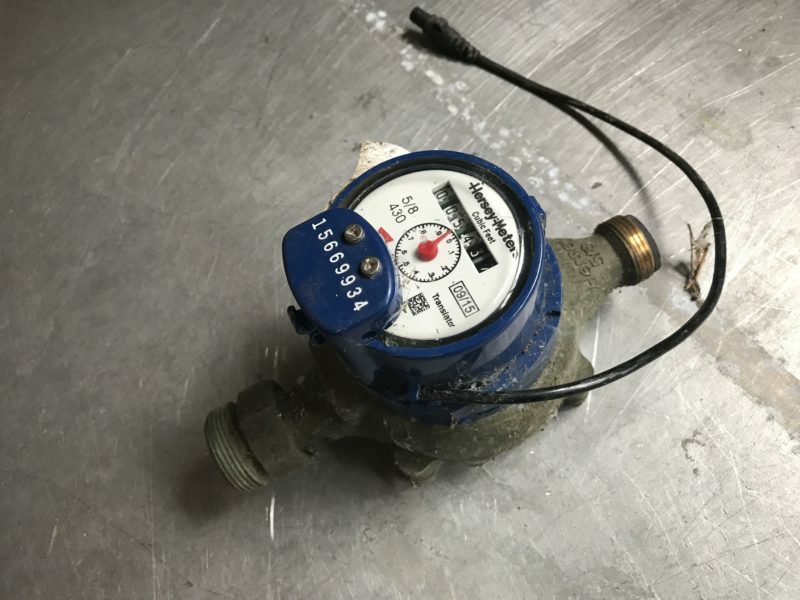 Amid hundreds of complaints of water bill spikes and problems with new smart water meters, the city water department has resisted public records requests, dodged its oversight board and misled the public about the extent of the issues, VOSD and NBC 7 found. Shortly after Vic Bianes took over San Diego’s water department, he instructed his staff to hide information. Less than a month after he began leading the $1.1 billion Public Utilities Department in mid-October, Bianes emailed staffers who were preparing a presentation for one of the water department’s oversight bodies. Bianes said it’d be best to be “vague” and not give the Independent Rates Oversight Committee any specifics about how the department was handling ongoing customer service issues. The months since Bianes’ email show there’s room for improvement. Over 1,000 water customers have complained about bill spikes and other billing problems so far this year. Two sets of auditors are now looking for deeper problems with the department and Mayor Kevin Faulconer’s office is growing impatient. Nevertheless, the department has tried to downplay problems, resist public records requests and mislead the public, VOSD and NBC 7 found. For instance, department officials denied for months that there were problems with a $60 million program to upgrade the city’s water meters. But, in fact, department officials have known of a “glitch” with the new meters since at least 2016. The program is also relying, in part, on technology from a meter company that has admitted to making products that prematurely fail. Those problems may not be related to billing spikes, but could cause other billing problems and be a costly mistake in their own right. The spikes, though, are what brought scrutiny on the department. Beginning last summer, a number of customers began contacting local media organizations with what seemed to be unjustifiably high bills. NBC, for instance, first asked the department about the problems in mid-summer 2017. That was before Bianes took over from Halla Razak, who left in October to lead a water agency in San Bernardino County. The department didn’t admit any specific problems until February, when it said a single employee had screwed up 343 water bills by misreading meters. City officials only admitted this week that they’d suspected since December that the employee had been falsifying readings. But that didn’t stop the department from blaming bill spikes on holiday gatherings in the weeks between when the department suspected its own staff were to blame for some problems and when it finally admitted to the problems publicly. The one misbehaving employee also doesn’t explain all the spikes. In addition to the hundreds of water customers affected by the staffer’s misreads, hundreds more customers have complained to the department about other billing problems. Separately, data analyzed by VOSD and NBC 7 show over 2,500 water customers have seen bill spikes in 2017 and early 2018. Some spikes could be justifiable, but some customers maintain they are being charged for water they never used. The billing problems also prompted questions about the city’s “smart meter” program. For years, the city has wanted to install 280,000 smart meters, which are supposed to improve meter accuracy, provide real-time data on water use and eliminate the need for human meter readers. Other cities have had problems with smart meter technologies, including some in this region. Because San Diego’s program was behind schedule and because of the new billing problems, some people suspected a link between the two. The city repeatedly denied there was any problem with its smart meter program. “The city has had no exceptional or unexpected problems regarding the [smart meter] equipment supplied by our vendors,” water department spokesman Jerry McCormick said in January. Separately, Mueller has told its shareholders that it needs to set aside over $9 million to fulfill customer warranties because some of the smart meter technology it made between 2011 and 2014 were failing at a “higher-than-expected rate.” The city spent about $5 million on Mueller products during that period, including the company’s “Hersey” brand smart meters. While neither the company nor the city has explained whether these exact issues affect San Diego’s smart meter program, a spokeswoman for Mueller said the company had shipped “just under 400” replacement parts to San Diego. The company said that’s small compared with the 75,000 smart meter parts the city has gotten from Mueller since 2010. But some of the problems with Mueller’s products only show up when the smart meters are hooked up to a data network. Right now, most of the smart meters the city has installed are not fully activated because they lack the complete radio equipment needed to allow them to send real-time water use data. That means only about 15,000 meters are actually “smart” and that the city could be sitting on technology that doesn’t work but not even know it yet. Despite months of questions and requests for public records, the city was unable to provide a comprehensive accounting of its smart meter program. Another water agency in the region had problems with its smart meter program, though, and its reaction stands in stark contrast to the city’s. Padre Dam Municipal Water District, which serves a swath of East County around Santee, has its own smart meter program, which it started working on in 2009. After several years, it realized its meters, also made by Mueller, had problems. They kept failing to send radio signals. “We realized that it was a bad product, the product is not something we want representing our water district,” said Allen Carlisle, Padre Dam’s general manager. After Padre Dam staff realized there was a problem, they took the issue to the water agency’s governing board and the problems were discussed in public. Now, whenever one of the Mueller meters fails, Padre Dam replaces it with a meter made by another company. Of the 5,000 Mueller-made meters it initially installed, only about half are still in the ground. But thanks to other more reliable technology, the smart meter system is working as it should. Customers get real-time access to their water use and have more accurate bills. By contrast, it’s unclear what is and isn’t working inside San Diego’s water department – and officials have worked to keep it that way. Back in January, the assistant director of the city water department said an audit of the smart meter program might make the project look bad. “Even one potentially negative comment regarding [smart meters] could injure the project before we have full liftoff,” the official, Lee Ann Jones-Santos, told the Independent Rates Oversight Committee – the same oversight body that Bianes was trying to hide information from a few months earlier. Eventually, the oversight group voted against recommending an audit of the smart meter program. The deciding vote against the audit was cast by David Akin, a former water department official who helped run the smart meter program in its early days. He, in essence, voted against auditing his own work. The department is now being audited by two groups of auditors anyway, thanks to all the public attention on its billing problems. Water officials, however, have not made it easy. In mid-February, auditors requested billing data from the city. It didn’t get those records until the end of April, a delay the city’s auditor said was the result of technical difficulties, not any lack of cooperation from the water department. But VOSD and NBC requested similar data even before the auditor did. After repeated, unexplained delays, the department finally provided the data in May in the form of three different Excel spreadsheets. Two of the files were created in January and the third was created in February, suggesting the city had data available months before it released it to the media or to the auditor. The department has not directly responded to questions from VOSD and NBC regarding the delays and its explanation for them. The city did not make Bianes available for comment.